The Capitol Dome was once Red. 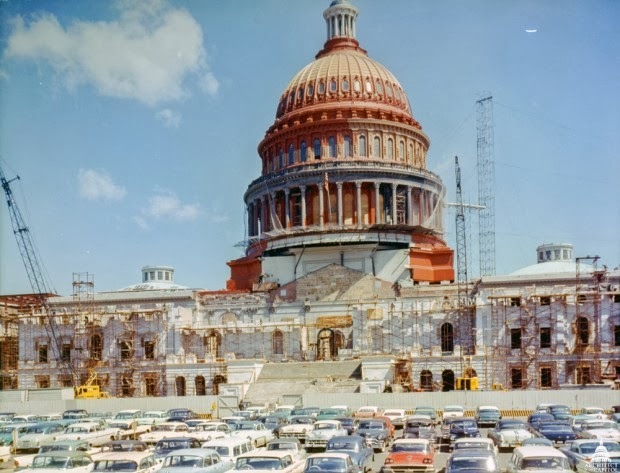 Did you know the Capitol Building was once turned red? See the above picture, taken during the 1959-60 renovations, and covered with a red rust inhibitant. It was only a small irony that in the middle of the Cold War that the Dome with Freedom atop was painted red. For more on the Capitol history, check out our Capitol Hill Tour.